Is ignorance of the change in the law for Non-Resident's Capital Gains Tax return a valid excuse for late filing the new return, or can you claim reliance on an adviser, even where they are a tax expert? Judges in the First Tier Tax Tribunal have been taking differing views on this matter. The new rules were not well publicised. Many conveyancing lawyers seem to have been unaware of the changes, however conveyancers are not tax experts. It is not easy to say whether the NRCGT regime is so especially complex that it requires taxpayers to obtain expert advice and assistance: it rather depends on the individual taxpayer. If it is not complex then why were so many conveyancing lawyers unaware of new 30 day filing deadline? Should you rely on a property lawyer/conveyancer for basic tax advice, after all they do advise on stamp duty land tax? If the rules are not complex then why would you need to rely on an adviser? If the rules are not complex then would you not suppose that you simply report your gains under normal self assessment? 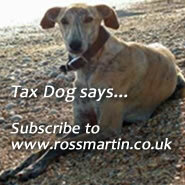 Are the rules so complex that all non residents should engage tax specialists? Yes: conveyancer/Solicitor did not mention it. All the cases above have links through the individual write up.